You are currently browsing the category archive for the ‘Green Peace Me!’ category. Its 22nd Feb and i am typing this while listening to speeches at Pullman Hotel. We are having Chinese New Year celebration during the last day of the festival and my SOCOM team is the backbone. So i was very busy last week, leaving office late due to the meetings for our event. Anyhow, i had two days off last weekend to recharge and to look at what i have for my MBC. 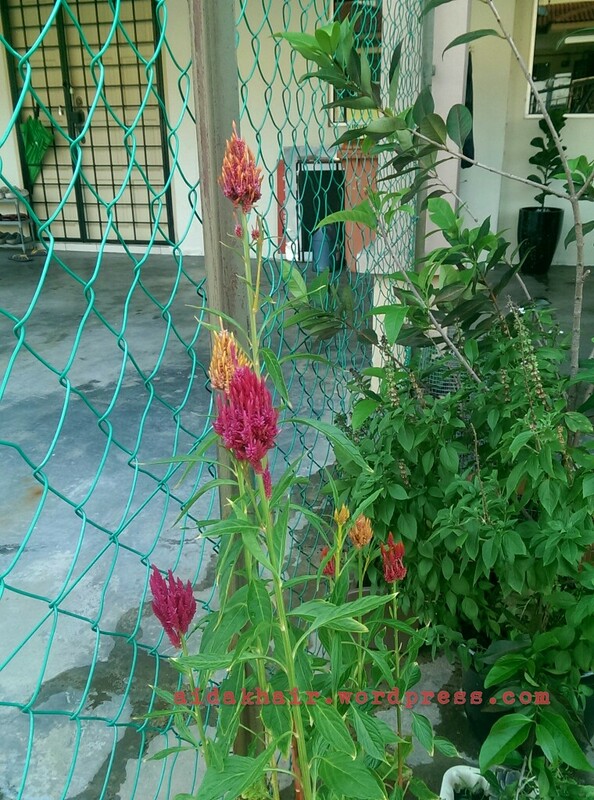 Still remember the Maybelle flowers? I made four of them, crochet their squares and toy around with what to do with them. And i also thought of making a small bag with these four flowers but i decided not to as i dont need more bags (as if). 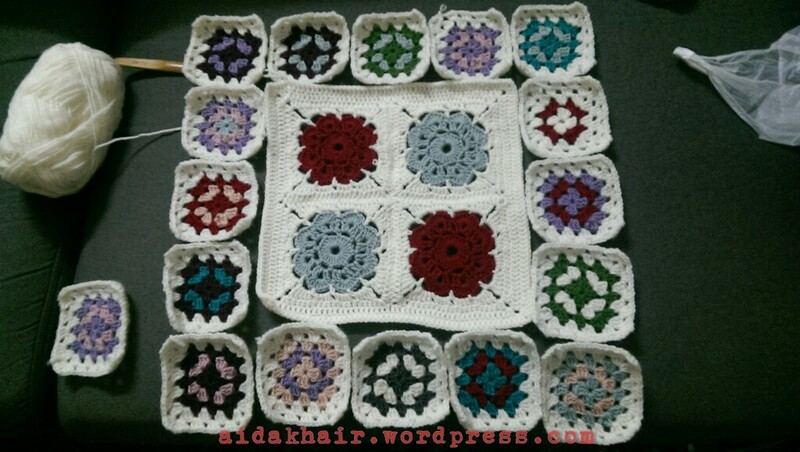 As to not to run away from my project, finally i made a decision to try to size the flowers so they could go along with my blanket. 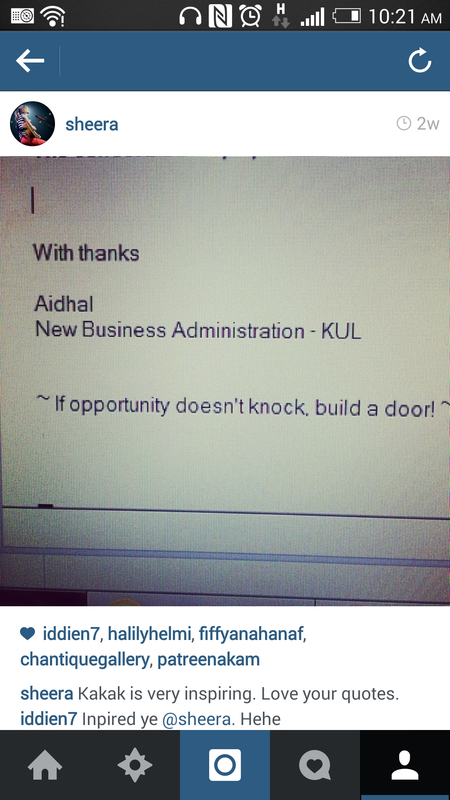 Hope it will turn out okay once completed. So thats my update so far. I already have 21 squares as at yesterday for feb (pheww i’m up to date albeit the crazy week). See you all next update. Stay healthy! i think i need to put in another rule for my MBC. that is, if its a month end closing week, i can have a lapse in updating the blog. having said that, it was indeed a busy week during the end of Jan. sorry for not updating my progress, and thank you for reminders! anyhow i was also not feeling well last week, my eczema was bad, but alhamdulillah i went to see my doctor last Monday, gave me a jab and some pills and i am doing better now. so here is the update so far. January ended and i have 31 squares wrapped in a bag and stored away. and i opened February with a change. i now use 2 colors only for a while. i like them all the same. what else have i done these two weeks? well, i learnt to crochet some coasters. the blue one was my training coaster and the green one is the second try product. gave both of them to a colleague as a birthday gift (handmade gifts are awesome). and today i had sometime to look at the my small garden. loving this japanese roses i planted a few months ago in a cracked tea pot given by Noorul. right. its a long weekend due to chinese new year on Monday. will travel to Ipoh one of the days and the rest of the weekend will be for books and nap catch up sessions. i was out with my sisters and their babies last Sunday and hence unable to post an update. and as usual, first day of work means a flat me. so here is an update for the 24th Jan 2016, on 26th Jan! i done all my dues for that week and it was a green week themed. the green yarn was really comforting! not just that, i also managed to crochet another pot cozy, using some hemp twine leftover. yeah, its a green week indeed. yesterday i learnt to make a sunburst granny square, thanks to the brilliant Bella Coco by Sarah-Jayne YouTube tutorial videos. 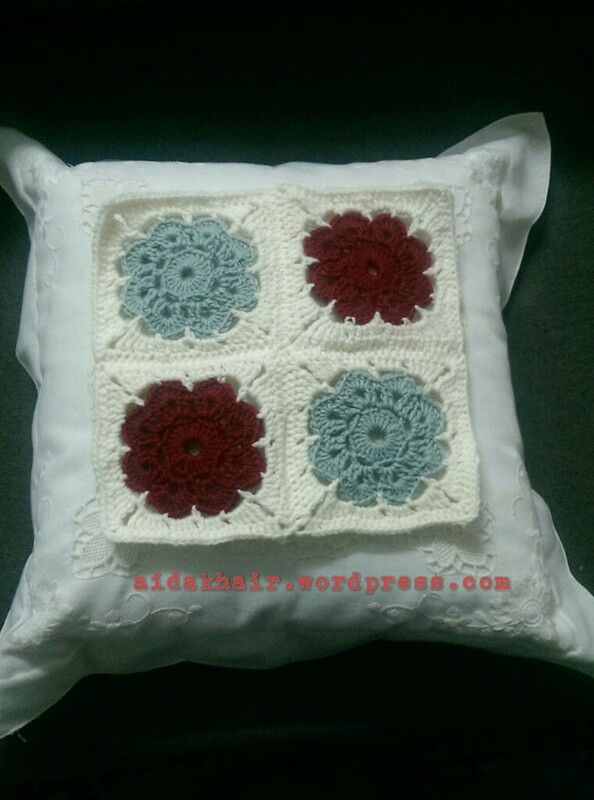 i like the way it turned up, thinking of adding it to the pattern in my mood blanket challenge. i think it would be great but ill need to do some maths as the sunburst is a little bit smaller than the Old American Granny square i am working on. and to make its even “sunnier”, when i was tending to my small yard this morning, i saw that my sunflower is beginning to show it’s colour. Friday, 13th june, i saw the house the first time on broad day light. it was freshly painted and we started the heavy task of cleaning. and its still work in progress today. happy and every little thing we brought in was selected with love. A few people started to ask if i ever will update my blog. I know i have been given myself a long break, but i cant help it. I was, hmm, am still very busy juggling everyday life. Anyway, when i woke up from a very long sleep last night, i saw a post on instagram. It was posted 2 weeks ago and odd enough i didnt see it. Now now, i am used to get words of encouragement every now and then, but NEVER anyone will say that i am inspiring. Good day ahead everyone. Lots more to write about, later. 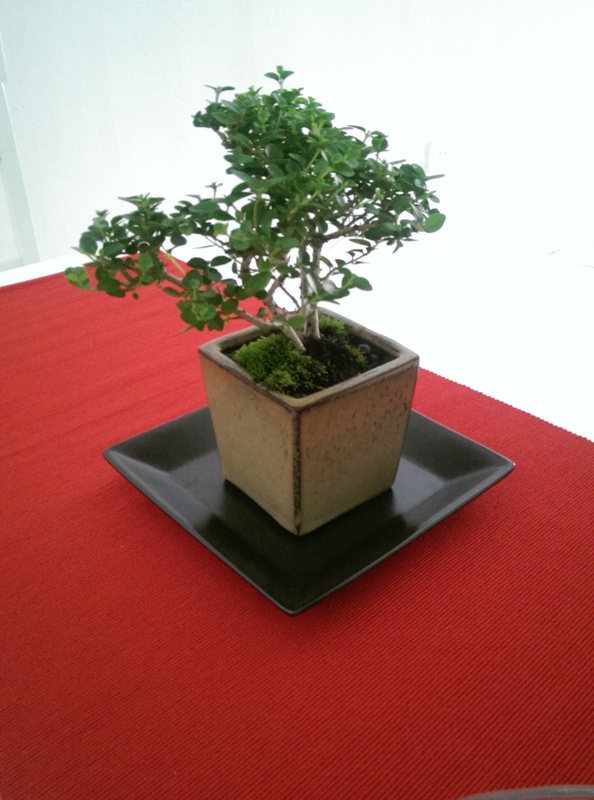 so, if you saw my previous entry, you would know that i bought myself another bonsai. 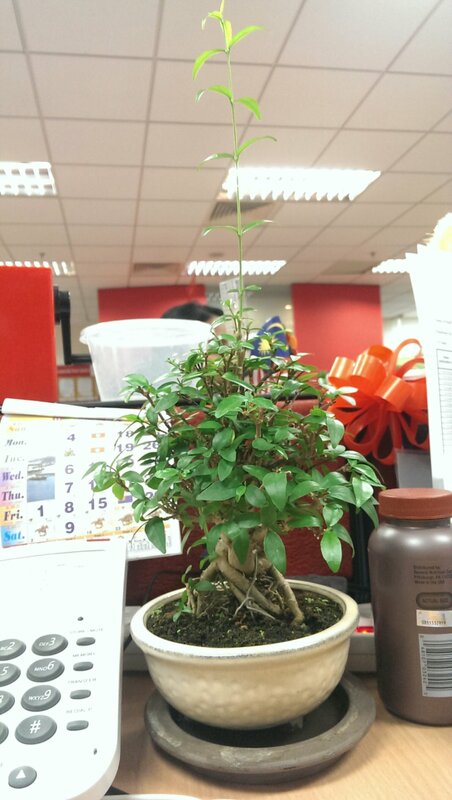 when i was away from office for 5 days (2 days weekend and 3 days attending the 7Habits workshop), i told my team to water the bonsai. To my total amazement, when i returned the 6th day, this is how the tree looked like. and its growing taller each day, with shoots here and there! half of me wanting to prune it. another half (and Vasantha who took care of it) told me to not to. 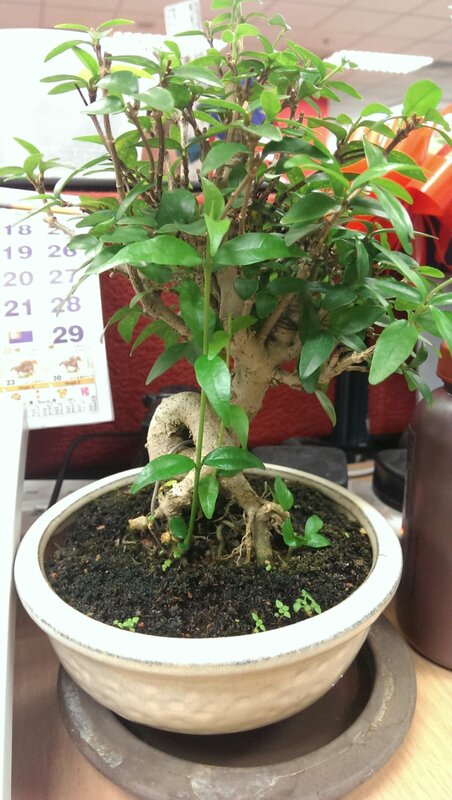 any bonsai enthusiast reading now? Advice please. I know ull say cut it off, but…but…. 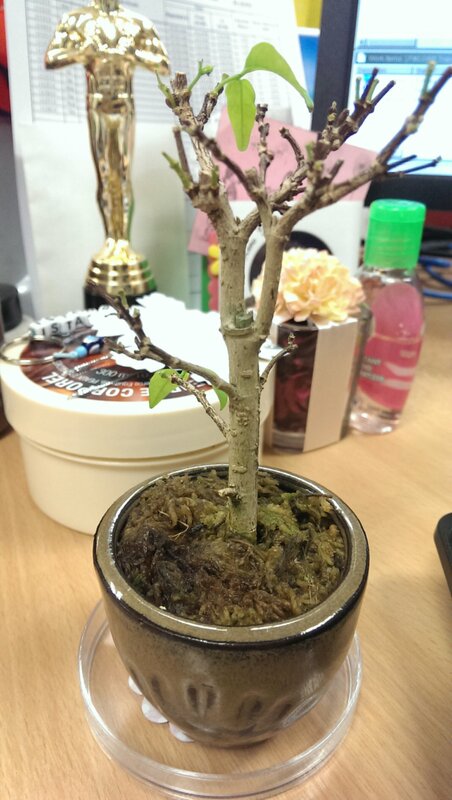 p/s/s: i now also have to help to take care of Haslan’s bonsai. Its dying. Stressed! Was a bit down last week and i went for retail therapy with dear Haslan. 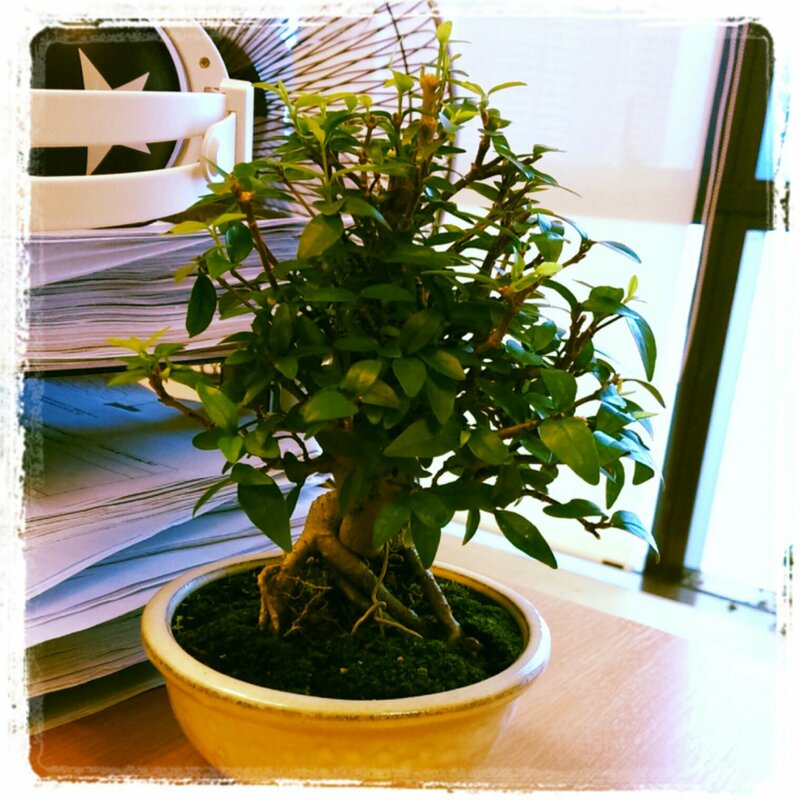 Got myself a bonsai for the office desk. 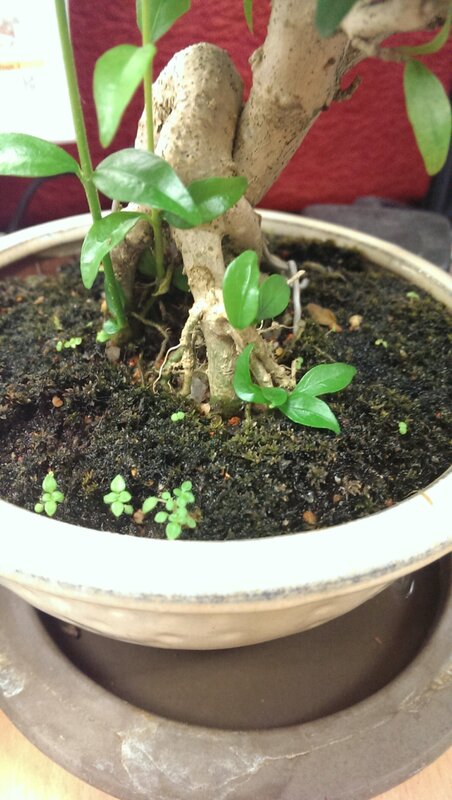 It’s a jasmine tree, 6 years old. 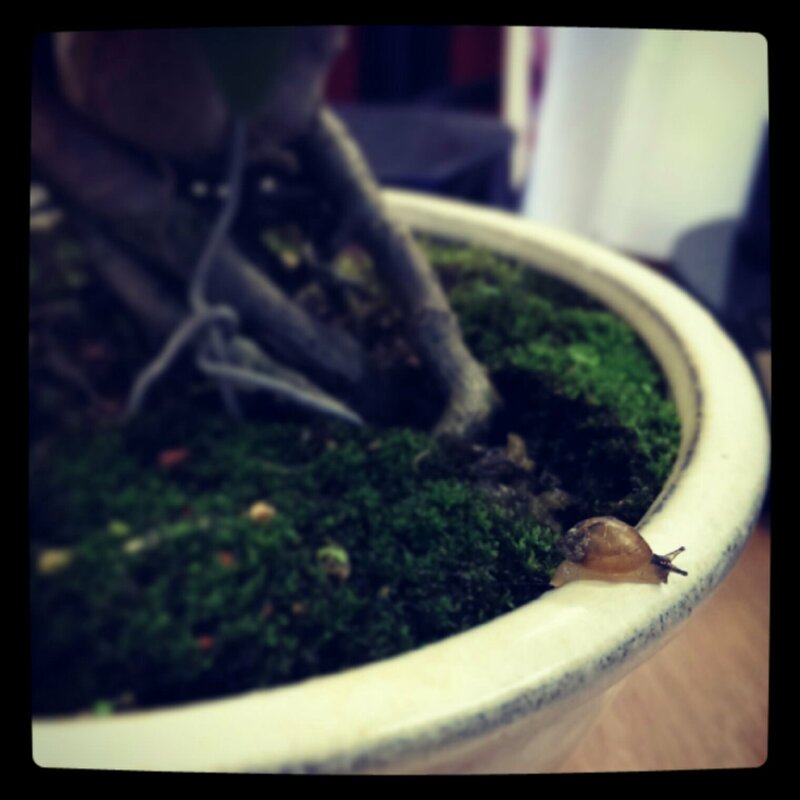 When i came back to office yesterday, look what i found! mom and i did some spring cleaning today, as you know, spring is near (haha). i bagged some old books that i know i wont read again and after asr just now drove to find a recycle centre. my driving took me to tesco ampang. parked the car, get out and took the bags with me. she pointed at the weighing scale. fine, i put them there and she asked “done? no more?”. took my “slow” mind sometimes to grasp what she was trying to say and i almost laughed when i realised that i was actually “selling” my old books. she said thank you and i walked to the car. kind of reminds me of Bujang Lapok movie. Foster’d, illumined, cherish’d, kept alive.